2018 Update: This Halloween, Sinister Pointe presents "Scary Place," which promises 150,000 square feet of horror, including scream zones, vendors, stages shows, games, exhibits, and three "heart-pounding" attractions. 2018 Hours: 7:00pm - midnight on Fridays & Saturdays; 7-11pm on Sundays & Thursdays. Sinister Pointe bills itself as "Southern California's Only Year-Round, Permanent Haunted Attraction and Horror Production Studio." However, "year-round" does not mean "open every day of the year"; rather, the haunt is open for various special occasions throughout the year (e.g. "Not So Merry Holiday Haunted Attraction" and "Horror Movie Night"). 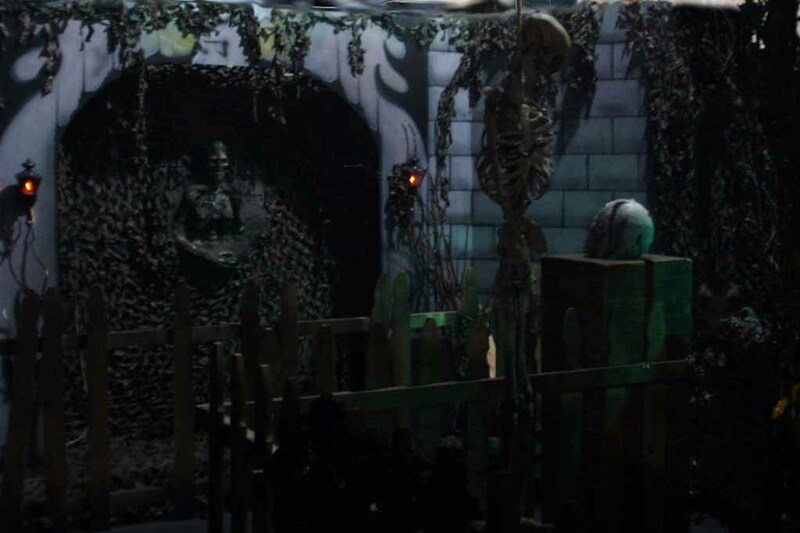 This highly regarded Halloween attraction has been haunting Orange County in various guises since 1996, originally under the name "Nightmares," then "Realm of Darkness." 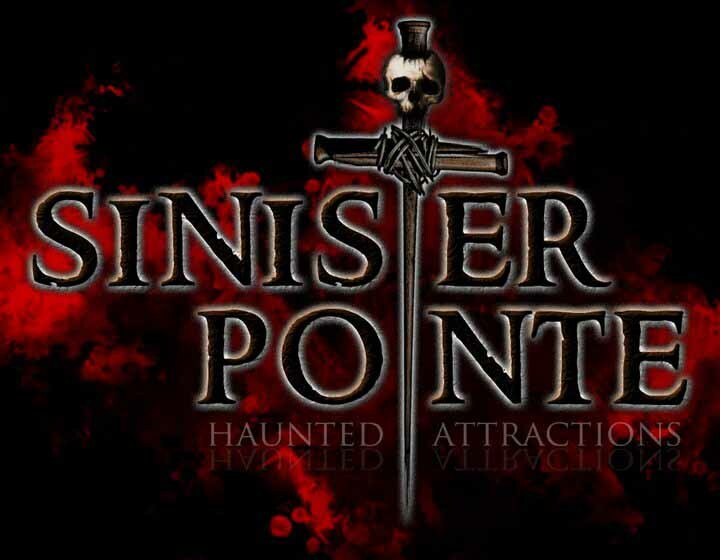 Sinister Pointe was the first Halloween attraction in Southern California to feature interactive elements, forcing visitors to complete tasks and choose pathways in order to navigate their way through its sinister corridors. Though other haunts have appropriated this strategy, Sinister Pointe continues to innovate, always striving to stay one step ahead. Past events include The Haunting in 2006 and Condemned in 2007. 2008 brought an officially licensed Saw maze, followed by Fear and Silent Hill (based on the videogame and film) in 2009; there was also a haunt zone titled "Slaughter Yard." In 2010, the team behind Sinister Pointe took a year off from their own haunts to work on the Queen Mary Dark Harbor in Long Beach and on Diner of the Dead in Garden Grove. 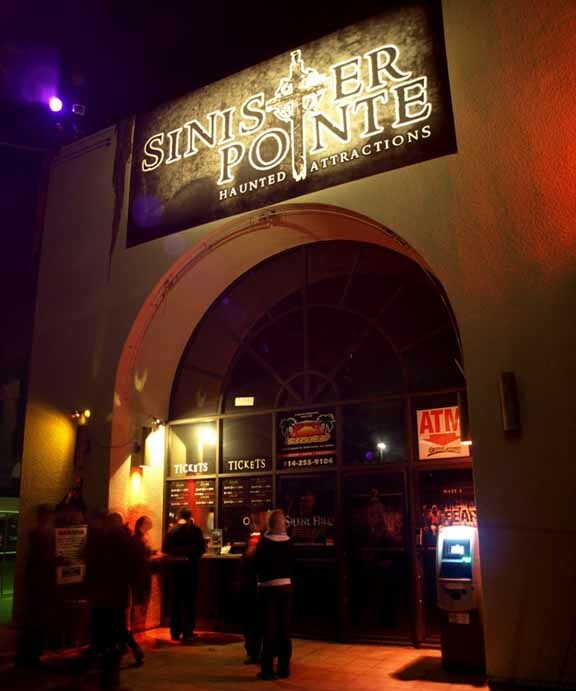 2011 saw Sinister Pointe move into a new location in Brea, where it offered some innovative and unique scares, set in a backwoods country house akin to abysmal abodes seen in films such as THE TEXAS CHAINSAW MASSACRE. For 2014, Sinister Pointe moved again, to Fullerton, where it offered a new version of its haunted labyrinth, titled Beyond the Mirror: A Bloody Mary Tale. Guests were allowed entrance only in groups of four - no more, no less - which means each group might be split up or combined with another, depending on the number of members in one's party. Once inside, visitors could find themselves separated from their friends and forced to proceed on their own - completely alone, except for the monsters lurking in the dark. A new strategy was devised for 2015: at a new location in Brea, guests could chose which personal fear to face from a group of four (clowns, living dead, deranged, possession) and then encounter that fear in absolute darkness - guided only by a partner relaying instructions from a control room equipped with night-vision. Halloween 2016 saw Sinister Pointe offering a multi-path haunt. Visitors would choose which route to take, visiting one of four different realms, which branched off and occasionally reconnected. For Halloween 2017, Sinister Pointe announced Hex in lieu of their customary haunted house attraction. Billed as "Orange County's Largest Costumed Affair," the event was cancelled at the last minute.